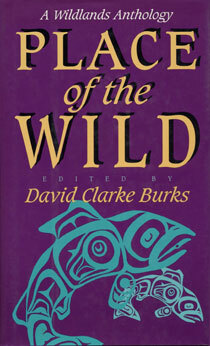 Where and what is the place of the wild? Is the goal of preserving biodiversity across the landscape of North America compatible with contemporary Western culture? Place of the Wild brings together original essays from an exceptional array of contemporary writers and activists to present in a single volume the most current thinking on the relationship between humans and wilderness. A common thread running through the volume is the conviction that everyone concerned with the natural world -- academics and activists, philosophers and poets -- must join forces to re-establish cultural narratives and shared visions that sustain life on this planet. The contributors apply the insights of conservation biology to the importance of wilderness in the 21st century, raising questions and stimulating thought. The volume begins with a series of personal narratives that present portraits of wildlands and humans. Following those narratives are more-analytical discourses that examine conceptions and perceptions of the wild, and of the place of humanity in it. The concluding section features clear and resonant activist voices that consider the importance of wildlands, and what can be done to reconcile the needs of wilderness with the needs of human culture.